Get the inside scoop on the all the Oakley Holbrook sunglasses. In this video SportRx optician, Rob, sits down with Oakley rep, Nick, to give a rundown on the whole lineup. Holbrook sunglasses are Oakley's top-selling sunglasses and for a good reason. Learn more about these timeless Oakley sunglasses with our guide below. Consider SportRx your source for everything you need to know about the Oakley Holbrook collection. We even have guides on how to remove your Holbrook lenses. The Holbrook lineage runs deep but each one is undeniably from the same family. With the amount of variety in the lineup, now you can make your own statement. Find out more about what makes each Holbrook model unique in its own way. This design paved the way for future Holbrook remixes. These are the bread and butter for Oakley and continue to be because of their desirable features. The original design could be described as a perfect fit because of the keyhole nose bridge, and the bent temple. Also, the incredible Oakley technology of O-matter is the secret ingredient that keeps people coming back for more. Get them with PRIZM lenses to boost contrast and make your surroundings more vibrant. The metal frames give off a more dressy look for those that are not into the sports scene. The stainless steel frame doesn't have a hinge system, so you do not get that floppy temple that people experience. And lastly, these sunglasses have Unobtainium technology that separate Oakley sunglasses from their competition. The Mix is a combination of the original and metal Holbrook, perfect for those people who are stuck trying to decide between the two. Its compromise features the frame of the original and the temple of the metal, which gives off more of a sporty feel. 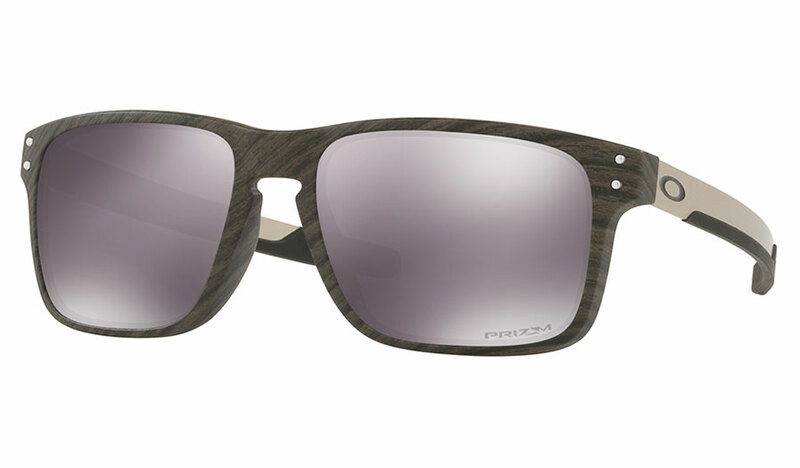 However, the wood grain finish, a unique colorway for the Mix, exhibits an aesthetic that we have not seen in previous sunglasses. The Holbrook R differs from the rest because of their rounded lenses. Also, they are the only frame that has a rubber nose pad. The textured design is a throwback to Oakley's motorcycle grips, and acts as a tighter fit on the face, which plays into Oakley's diverse use for its sunglasses. Need a larger fit? No problem. The Holbrook XL has all of the iconic styling and features found on the original Holbrook but the sizing is scaled up a notch. You have added durability and all-day comfort with the lightweight O matter frame construction. Plutonite lenses will give you optimal clarity in a variety of conditions, making this an ideal all-in-one package. Check out the Oakley Holbrook XL review video. The Holbrook Rx is the latest addition to the Oakley Holbrook family. After the popularity of the Holbrook caught on, many people began turning their sunglasses into eyeglasses. Oakley took note and designed a specific opthalmic Holbrook that is rx-ready! This frame comes in two sizes; the large has a 56mm eyesize and the medium is a 54mm eyesize. The original Holbrook sunglass is about a 55mm eyesize to give you a point of reference. with the Holbrook Rx, you can have your favorite sunglass as an eyeglass too! 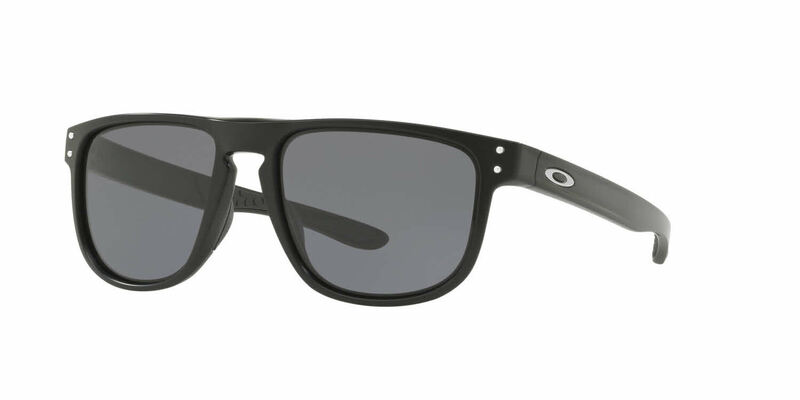 Get Prescription Oakley Holbrook Sunglasses at SportRx! Did you learn everything you wante dot knowSportRx carries all the latest styles by Oakley, and every Holbrook ever created. Need 'em in prescription? We got you covered. SportRx specializes in creating the highest quality in prescription lenses. If you want, we can even get you authentic Oakley lenses in prescription. Get the PRIZM technology you love in your prescription Holbrooks today. If you have any questions, please Contact Us to speak with our certified experts. We're here to make shopping easy. Expect great service, leave with the perfect frames at SportRx.